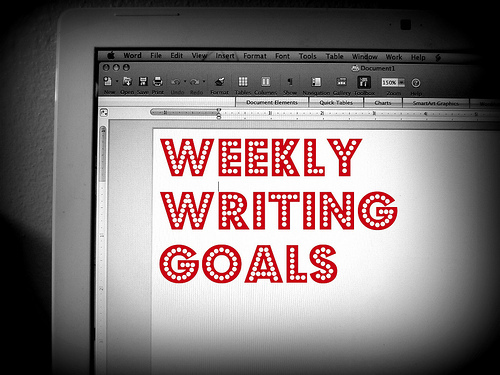 Friends, I have been slacking big time on these writing goals. Better yet, I don't have any good excuses! I guess I could blame my allergies, which have been particularly brutal this year. Mostly though it's a bout of laziness. While I'm excited about a few projects, I just haven't made the time to sit down and work on them. I will try and change that this week - but first, last week's damage. Continue working on the East Texas Gothic piece. Aim for 500 words a day, starting tonight. I think I did this once. The story was coming along. Now it's stalled. Write another book review. I reviewed Sharp Teeth! Go, me. Start and finish freelance work. I am half done. I finished the social media stuff, but I still have to work on the yoga newsletter. It's coming alone. As for this week, I need a kick in the pants. Finishing reading and review Poser. I've fallen back into the habit of watching movies and TV until the point of sleep. Need to get back into reading before the night slips away from me. Also, this book is overdue. Don't tell the library! Finish (finally) first draft of East Texas Gothic piece. Speaking of kicks in the pants, I got some great feedback from my bloggy friend Rose-Anne which has made me really excited to roll up my sleeves and do some more work on the Dreadlocks piece. And I'd really like to finish something enough to submit it to a few magazines, because that's always satisfying. So: this week and possibly the next will be about making words, and then I'll get back to revisions. Is it terrible that I like revisions better than actually writing? There's something about poking and prodding a piece, trying to solve the problems and figure out the shape of the thing, that makes me feel less like a writer and more like a detective or a surgeon. A story finally clicking into place is exciting; making the words appear on the page is just work. Good work, but work. Anyway, that's the plan. I'll let you know how it goes.